The Florida governor's assets have been shielded from public scrutiny since he took office, but a single transaction allows a peek inside the details. TALLAHASSEE — The reason Gov. Rick Scott's net income rose 55 percent in 2017 has to do with electric cars, China partnerships, a company turnaround, and a single transaction that resulted in a revenue boost of as much as $550 million to the governor and his family. Continental Structural Plastics, a Michigan-based company that supplies lightweight plastic components to the automotive industry, sold for $825 million on Jan. 3, 2017, to a Japanese conglomerate. The company, bought by Scott in 2005 for an undisclosed price, was one of the largest assets in the millionaire governor's portfolio. Documents filed with the U.S. Securities and Exchange Commission, the Japanese Financial Services Agency, and the Florida Commission on Ethics — and reviewed by the Times/Herald — show that Scott and his family controlled 66.7 percent of CSP at the time it was sold, a transaction that Scott did not have to report on his annual financial disclosure form filed June 29. 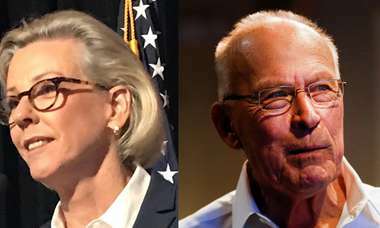 Since becoming governor, Scott has shielded his assets from public scrutiny by using a blind trust and a series of privately held partnerships in his name and the name of his wife, Ann Scott. 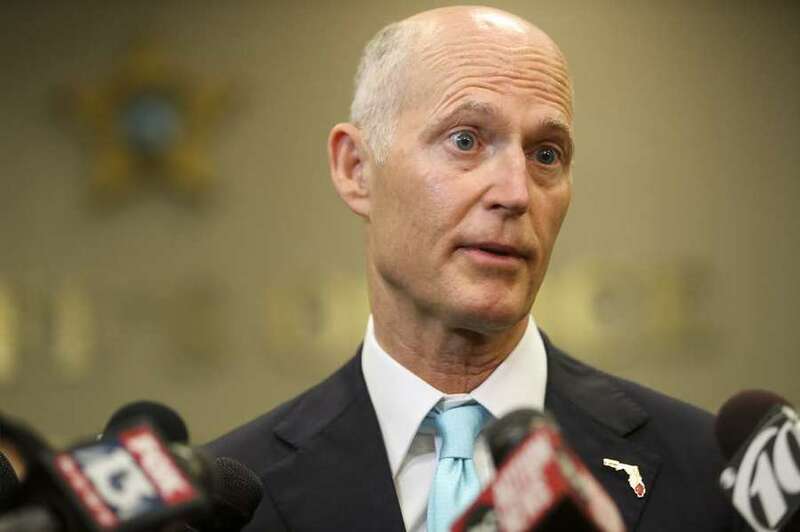 As the wealthiest governor in Florida history with a net worth of $232 million, Scott's latest report that his net worth rose by $83 million in a single year was notable even for him. Long before Scott became governor and contemplated being blind to his investments, he had pinned his hopes on the automotive plastics company for its revenue potential. In 2005, Scott used $14 million in cash from American Capital Strategies Ltd. to orchestrate a leveraged buy-out of Continental Structural Plastics for an undisclosed price. For the next several years, Scott chaired the company through a rocky period that included acquisitions and growth, relinquishing control only after he was elected governor in 2010. A former CSP executive described the company after Scott chaired it for five years as "near insolvency and was saddled with high interest debt." Frank Macher, a 30-year auto industry veteran, told Industry Today: "I took over for owner Rick Scott, the governor of Florida. He had to recuse himself from the chairman position because of a potential conflict of interest." The new board replaced the three top executives and the turnaround began. Macher quickly moved from chairman to CEO and, in the next few years, CSP became the supplier of component parts for the Chevrolet Volt, a breakthrough electric car. It partnered with the Qingdao Victall Railway Group in Tangshan, China, to manufacture parts overseas, and it opened a research and development plant in Pouancé, France. By 2016, CSP was ripe for takeover and Teijin Ltd., a Japanese conglomerate, bought it for $825 million. The majority owner was RLSI-CSP Partners, a company created by Scott and his wife in 2005 when they became majority owners of CSP. The assets in Scott's trust are supposed to be blind to him, and managed by an independent trustee. He was to have no knowledge of transactions within the trust or make no decisions regarding it. But for years, the Times/Herald reported in 2014, Scott's family bought and sold assets that mirror those held by Scott's blind trust and had them managed by the same team of financial advisers who worked on Scott's investments before he became governor. So how "blind" was that trust to the governor? We don't know. Scott's long-time financial adviser, Gregory D. Scott, was also a long-time member of the CSP board. Was the governor aware of those connections? We don't know. When the governor led a state trade delegation to Japan in 2013 and met two of the would-be bidders in the sale of CSP — Mitsubishi and — Teijin did he give them special treatment? Did he discuss his findings with his advisers? And if Scott had not become governor and continued to chair the ailing company, would it have emerged from insolvency to where it is today? • The sale of CSP to a subsidiary of Teijin for $825 million was announced in September 2016 and completed Jan. 3, 2017. The company makes lightweight automotive plastics, a product in increasing demand in an era of tightening emissions standards requiring lighter vehicles that get better gas mileage. It had reported annual sales of $600 million. • In September 2016, Teijin filed a disclosure with Japanese regulatory officials that, translated into English, shows that a company known as RLSI-CSP owned 66.7 percent of the plastics company when the agreement to sell the company to a subsidiary of Teijin Ltd. was completed. • In 2014, when Scott disclosed the assets of his blind trust and created a new one, he reported that the value of RLSI-CSP had risen to $43.8 million and was the largest asset in his portfolio. Disclosure documents filed by G. Scott Capital Partners, the Scott family investment manager, report in 2014 that RLSI-CSP was valued at a $120 million. Scott's share in 2014 was 35.8 percent. • A March 2016 lawsuit involving CSP disclosed that "there is no 'parent or publicly held corporation that owns 10% or more of its stock,' but a majority of CSP's stock is privately owned by another company, G. Scott Capital Partners, LLC." • According to SEC documents filed annually, G. Scott Capital Partners owned between 50 percent and 75 percent of RLSI-CSP. The same documents say that G. Scott Capital Partners was controlled by various investments of Ann Scott: a company called Tally 1 and a revocable trust, a revocable trust, held in the name of Frances Annette Scott. • By the time the plastics company was sold, the value of the partnership had more than doubled from $120 million in 2014 to $243 million in 2016 — increasing Scott's likely share to $86 million. In June of this year, Scott reported an increase in his net income of $120 million. When asked for a comment, Scott spokesman McKinley Lewis said: "The governor has no knowledge of anything that is bought or changed in the trust." Lewis referred questions to Scott's political team, which would not answers questions about the disclosure or make the governor's investment advisers available for comment. Don Hinkle, a Tallahassee attorney who is suing the governor for violating the state financial disclosure law, said the lack of transparency over the ownership of CSP to partnerships controlled by Scott and his family is another example of the governor failing to report all his assets. "It seems incredible that our governor made over $120 million and we really have no clue as to how,'' Hinkle said. "His actions as governor need to be understood in the context of personal financial interests. Is he acting in the best interest of his personal finances or in the best interests of the people of Florida?" Florida's blind trust law requires that a trust "may not contain investments or assets the transfer of which by the trustee is improbable or impractical without the public officer's knowledge." The Florida Bulldog, an online investigative website that first disclosed the CSP transaction last year, asked the manager of Scott's blind trust, Alan Bazaar, if he notified Scott of the sale. Bazaar declined to comment. Both Bazaar and Scott refused to respond to detailed questions provided by the Times/Herald. Macher, the former CEO, did not respond to a request for comment. Scott, 65, amassed a fortune as the CEO of Columbia/HCA, the nation's largest for-profit hospital chain, and is now running for U.S. Senate. He spent more than $73 million of his wealth in his first race for governor in 2010 and his wife pumped $11.3 million into the campaign from the Frances Annette Scott Revocable Trust. In 2014, Scott also used $6.4 million of the assets from his blind trust, which was matched by $6.4 million from funds his wife controlled, to get re-elected. To run for federal office, Scott must report his financial assets and — unlike Florida's disclosure requirements — those of his spouse. The governor has asked for a 90-day extension to comply with the federal law, and his disclosure is due by the end of July. Scott's campaign said the disclosure will include "all information and details required under that law, including assets he holds jointly with (his wife) and individually by (her.)" The governor is the only elected official to use a state law that allows assets to be placed in a blind trust. It is shielded from public view and managed by Bazaar, a New York adviser who for more than a decade was a business associate of the governor at Richard L. Scott Investments. The two were partners in the 1990s in a Deerfield Beach computer security company called Cyberguard. Scott left Columbia/HCA months before it paid $1.7 billion in fines for Medicare fraud and used his hospital fortunes to buy CSP and make other large investments. By 2006, with Scott at the helm, CSP acquired the plastics materials manufacturing and molding operations of ThyssenKrupp Budd Co. and the company reported revenues of $300 million. At this point, Scott saw himself in the business of automotive parts for the long haul. "We acquired CSP in early 2005 with the belief that there was an opportunity to build a great company focused on being a valued structural-plastics supplier to the auto, HVAC and other industries,'' Scott said in a media statement at the time. "Our goal over the next 20 years is to continue to complete strategic acquisitions where our customers and suppliers believe our management expertise will be beneficial." But loaded with debt, CSP struggled. In 2010, Scott disclosed that his share of the plastics company was valued at $19.4 million. By 2011, when Scott opened his first blind trust after taking office, he reported that the value of the CSP had dropped to $14.2 million. Scott reportedly managed the business until 2010, when he was elected governor, but records show that Scott did not transfer management of the company until 2012 when he arranged to have to G. Scott Capital Partners be the managing partner. Gregory D. Scott, a trusted adviser who had worked for Richard L. Scott Investments from 2000 to 2012, was not only the manager of RLSI-CSP, he also managed Ann Scott's investments which, records show, hold many of the same assets as those held by the governor in his blind trust. Jon Smith, who replaced the former CFO in the management shakeup of 2011-12, said in a 2016 interview in Plastics News that when he took over "many things weren't being done with any regularity or in any kind of systematic way." Smith, who was nominated as the plastic industry's CFO of the year in 2016, also said that equipment maintenance and customer communication was "equally scary." "… Unless you know the equipment is not going to fail, and you have backup if it does, how do you assure yourself there will no interruption of supply?'' he said. "We were way off the mark in that regard." What was Scott's role in either the company's decline or the shake-up of executives at his top investment? Neither he, nor his advisers would respond to repeated attempts by the Times/Herald to answer questions. By 2013, CSP's rescue had worked. The company reported revenues of $600 million and the value of Scott's CSP shares had risen to $43.9 million — an increase of nearly $30 million in two years, according to his financial disclosures. The North American-centric company also started looking for global partners, Smith recalled. In November 2013, Scott led a delegation of 20 Florida business leaders to Japan on an economic development mission where they met with dozens of leaders. Included on the invitation list were Teijin Ltd. and Mitsubishi, both of whom would sign future agreements with CSP. In March 2016, CSP signed a memorandum of understanding with Mitsubishi Rayon Co., Ltd. to work together to build carbon fiber components for the North American automotive industry, but then-CEO Macher told Composites World that the deal was dissolved after the Teijin acquisition. The Teijin purchase was not only a boon for G. Scott Capital, it was also a coup for Florida's governor. The price was described by Crain's Detroit Business as "eye-popping for an automotive supplier — 10.25 times CSP's earnings before interest, taxes, depreciation and amortization." Florida's blind trust law prohibits a public official from attempting to "influence or exercise any control over decisions regarding the management of assets in a qualified blind trust" and "may not make any effort to obtain information with respect to the holdings of the trust." Scott has repeatedly said the investment decisions were all made without his knowledge. "I put everything in a blind trust," the governor said in 2014. "So I don't know what's in the blind trust."